I have enough trouble walking on my own two feet without holes under them. Seriously, gravity is a cruel mistress, but divots and holes in my yard definitely do not help. Ankles are sensitive! And even if you’ve figured out how to avoid mole holes and hills, your kids sure haven’t. 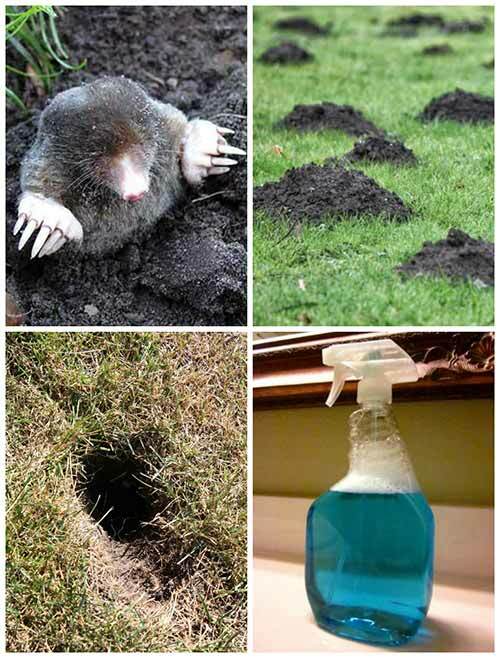 Have you ever heard the phrase, curiosity killed the cat…curiosity may have contributed, but a mole clawing your cat’s face off because your cat was curious enough to poke its head in the mole’s hole was the real culprit. At any rate, you don’t want them, but you also don’t want to destroy or poison your own yard. 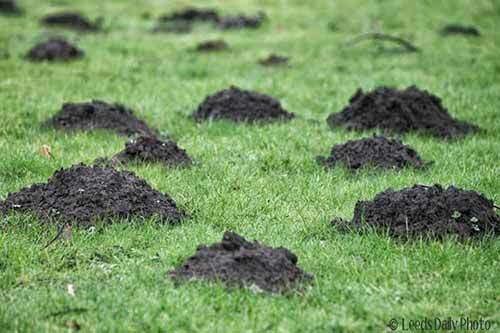 Mole hills ruin gardens and can get out of control quickly if not remedied! The solution to this all too common problem is lying in wait under your kitchen sink…it’s time to grab the Dawn. You’ll also want to purchase some Castor Oil and a bottle sprayer attachment for your hose if you don’t have one lying around your garage. Check out how to make the solution on the next page.